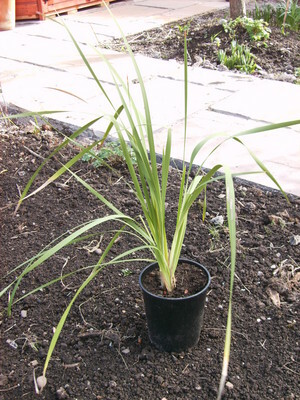 Does anyone have experience of growing Dierama pulcherrimum? A friend gave me some seeds about 5 years ago. I have been growing them on since then, but none have ever flowered, much to my disappointment! Most are in pots, the one pictured is in a 4ltr old clematis pot, as I thought it might need a deep root run, and one other is out in the garden. They all look pretty strong and healthy. Any ideas?? Owdboggy, could you answer a question about sowing the seeds of Dierama, please? I have a packet of seeds which indicates to sow them at the end of August/September. I have just read on this forum to sow the seeds from Jan to May. Could you advise when you sowed your Dierama seeds as you have been very successful to get them flowering in their second year. Now you are asking. It was a long time ago. If my normal practice is anything to go by then it would have been as soon as they came off the plant, so probably September/October. The seeds do keep over Winter so you can sow them in early Spring if you want to. Sorry, but now I spend more time removing them than growing them! Thanks Owdboggy i will wait until early Autumn and have a sow then.